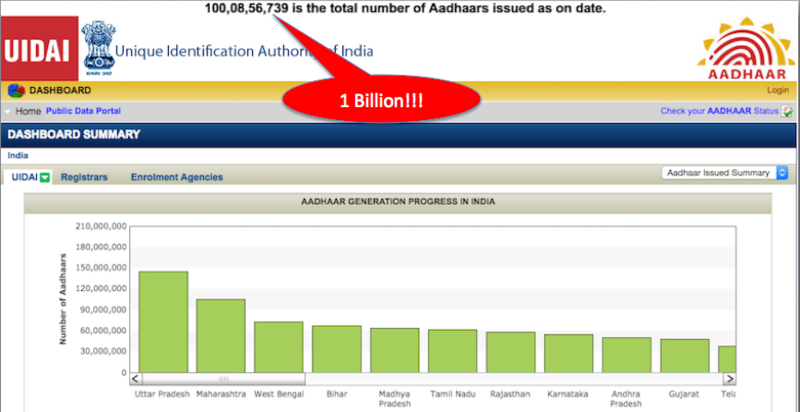 Aadhaar: Zero to 1-Billion in 5.5 years! On the occasion of Aadhaar reaching the 1-Billion landmark – the fastest of any digital initiative in history – I had the privilege of recording a Podcast with the founding Chairman of this grand vision, Mr. Nandan Nilekani. Nandan shared his views on how they went about building Aadhaar, the teams involved, some challenges faced, how government worked closely with the best technologists, how it scaled, etc. Looking ahead, Nandan also spoke about the JAM Trinity (Jan Dhan Bank Account, Aadhaar Identity & Mobile) as well as IndiaStack the open platform which the basis for a Digital India, and how this will change governance and business engagements with Indians. Nandan discusses the impact of the new Unified Payment Interface by NPCI, as well. The podcast is 20 min long – enjoy it – share your comments and feedback – and please do share it with others. This is indeed a landmark for all of us in India – and the start of exciting changes for all walks of society!